Another twitch stream’s worth of progress on the Jurassic Park vehicles. 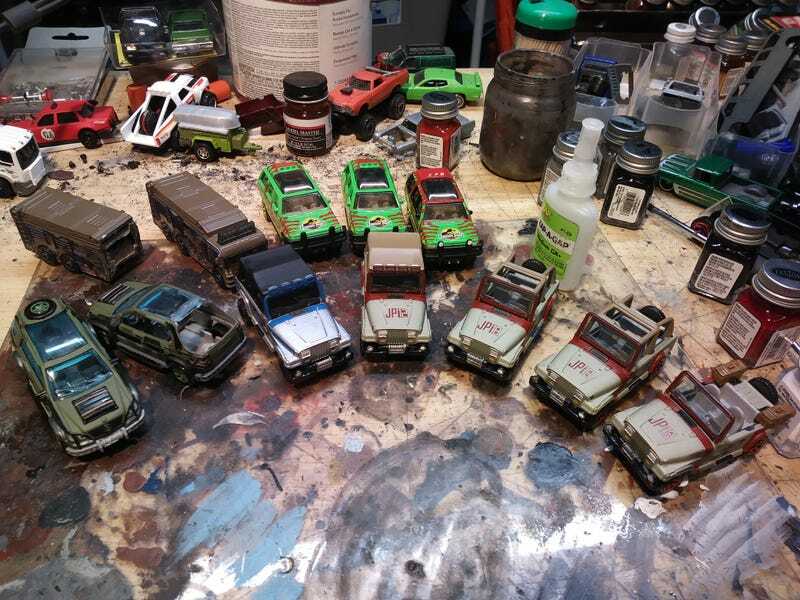 The jeeps are done except a few minor touchups(and figuring out how to reletter an 18 as a 29). Got some work done on the mercedes pickup. And sawed an RV in half.